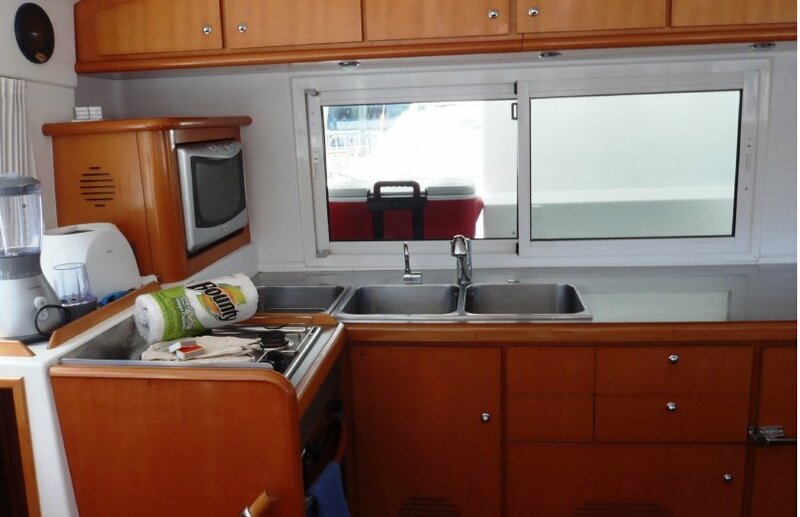 The unique design of the L shaped galley provides excellent stowage, lots of counter top space and makes catering easy with a microwave, blender and two fridges. 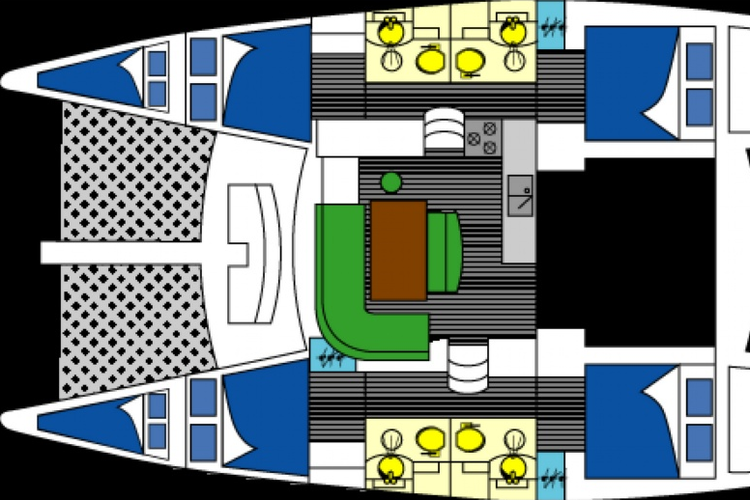 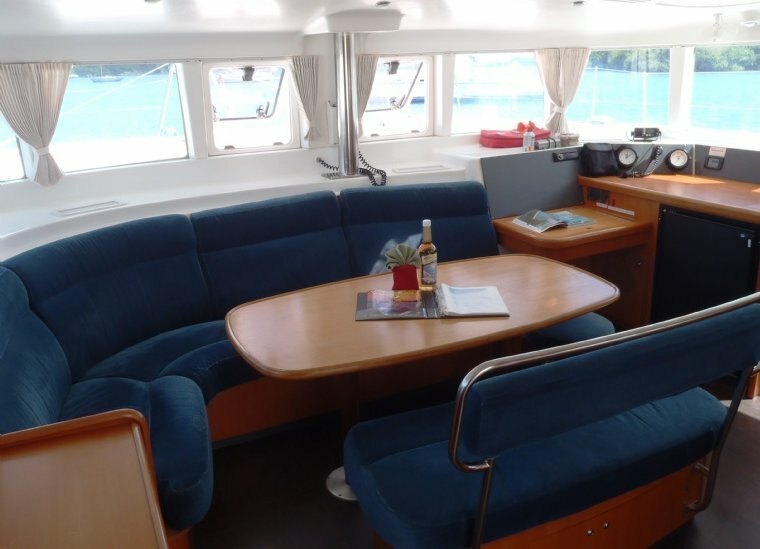 The saloon can seat the whole crew comfortably, and has many windows providing plenty of light, which provide optimal ventilation. 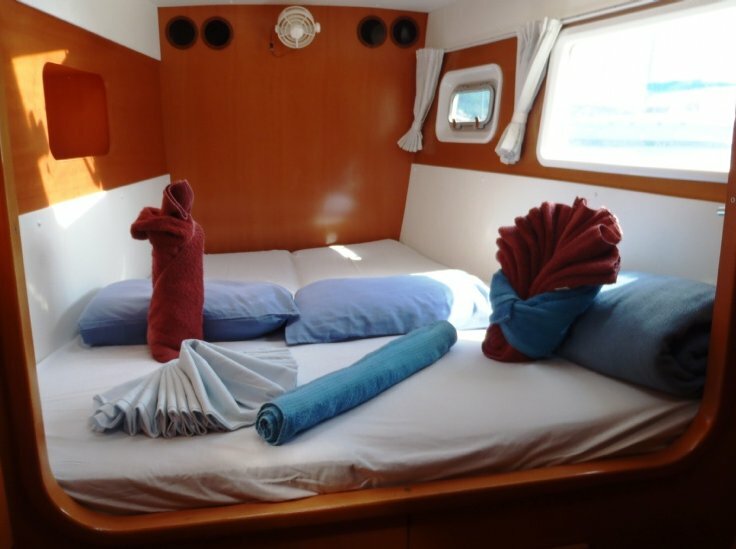 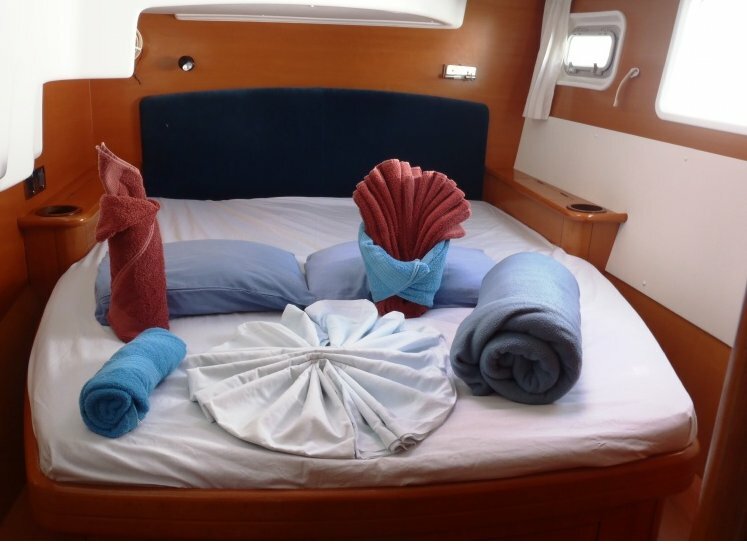 The four double cabins are very spacious with queen size beds and en-suite heads. 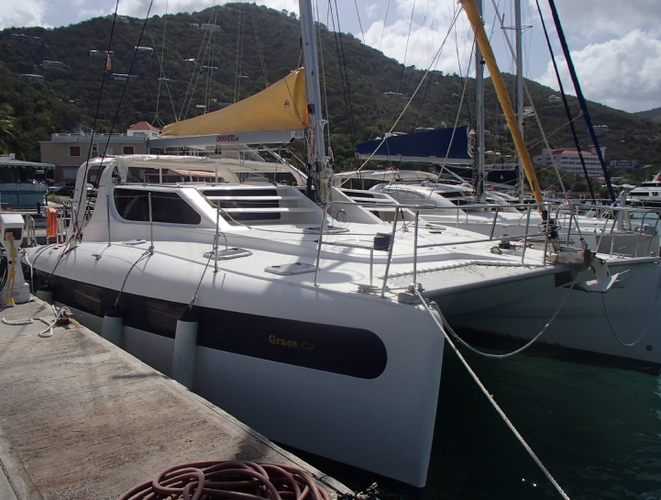 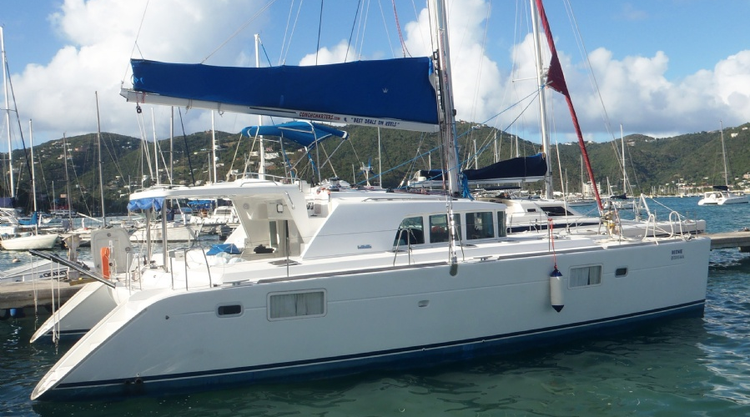 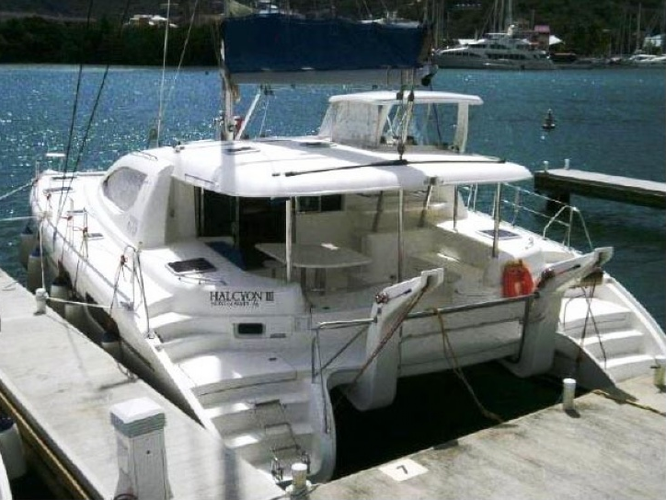 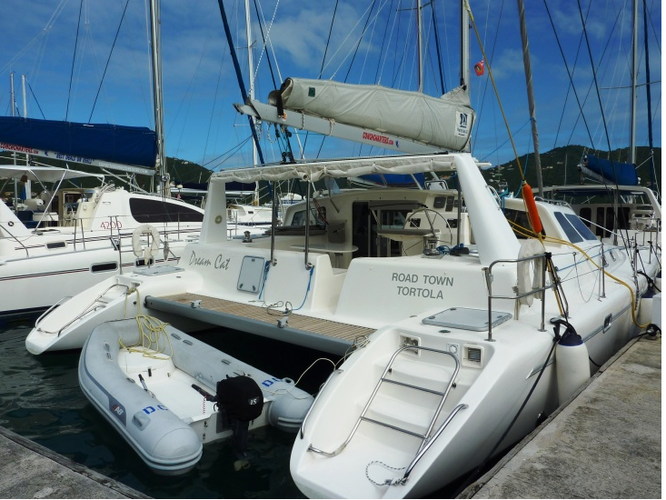 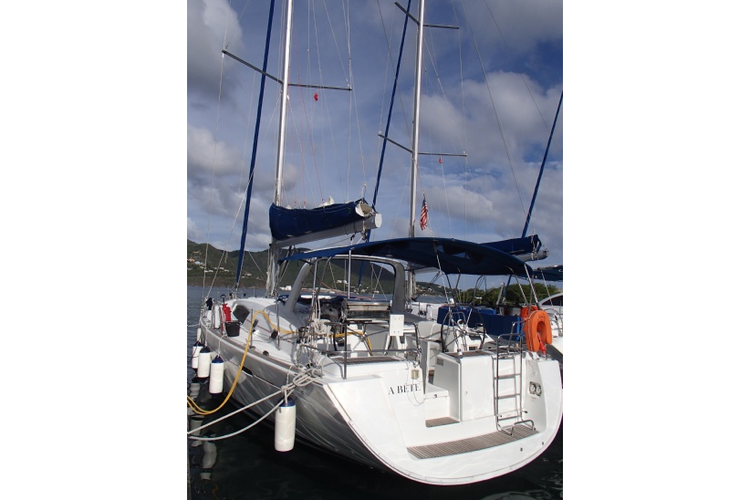 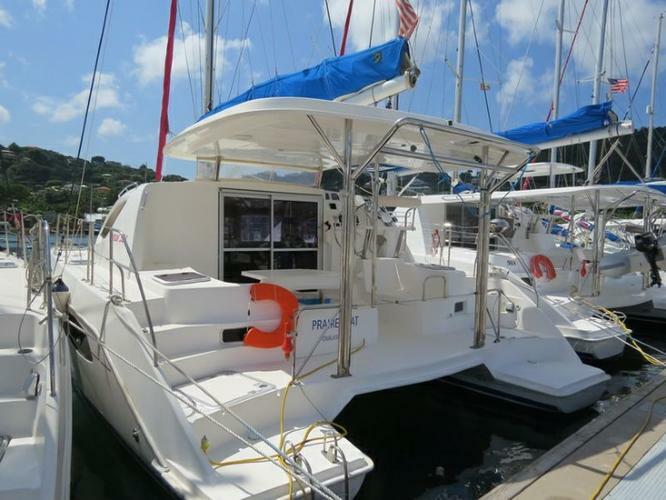 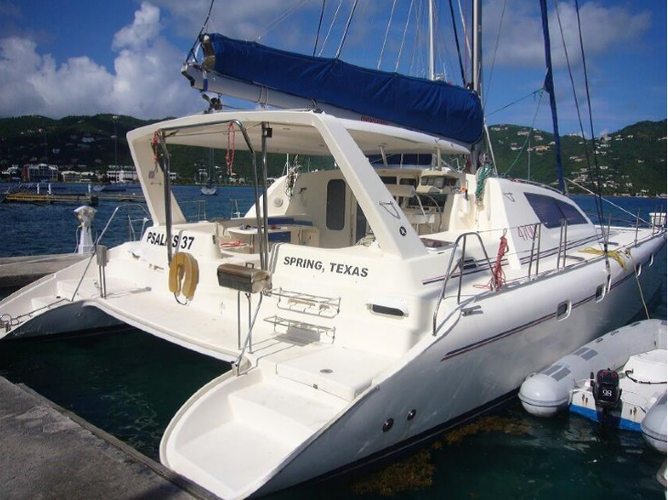 You can use the generator to have air conditioning throughout the boat or just open the hatches to enjoy the tropical breeze.